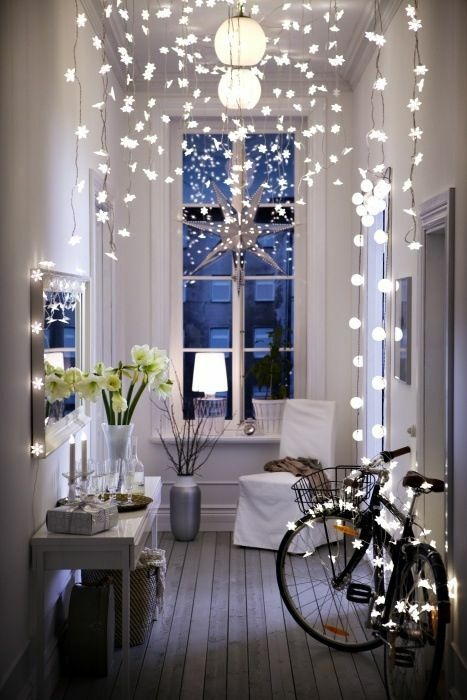 String lights are amazing! 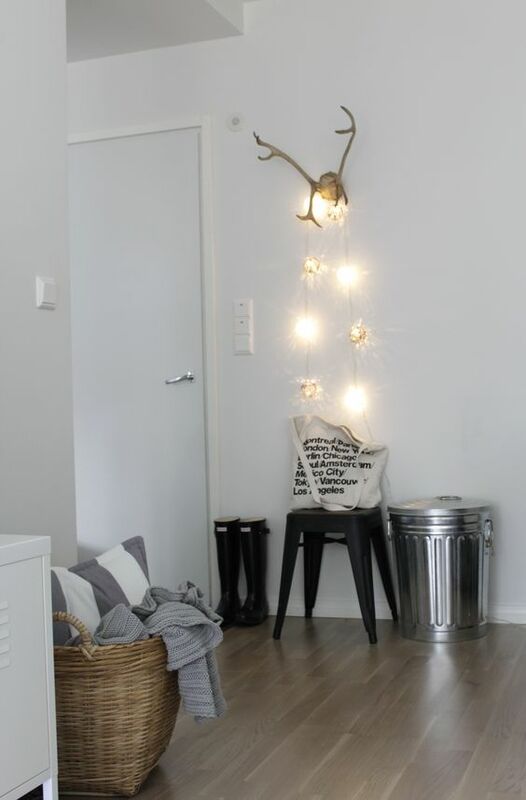 They bring additional light anywhere, they can be used for any item and space, they fit many decor styles and come in various shapes and colors to try. 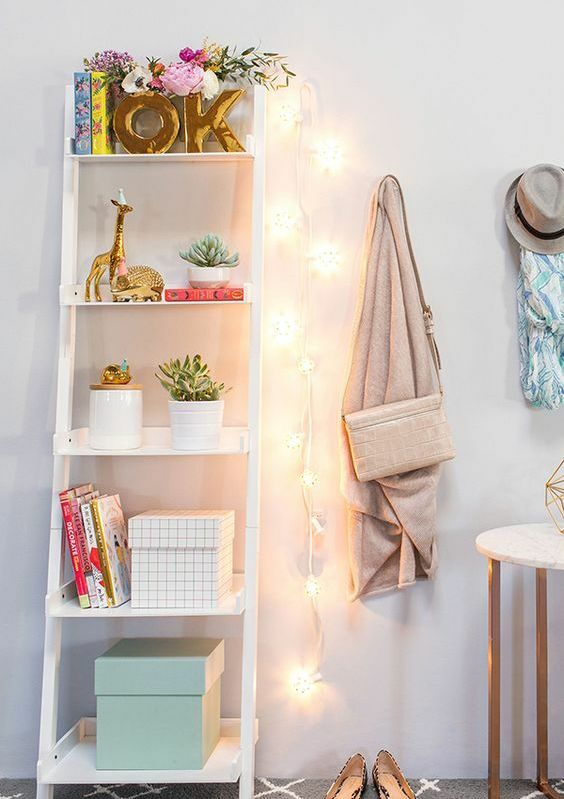 Plus, they are very budget-friendly, who needs a lamp when you can hang some string lights and create a cozy and inviting ambience at once? 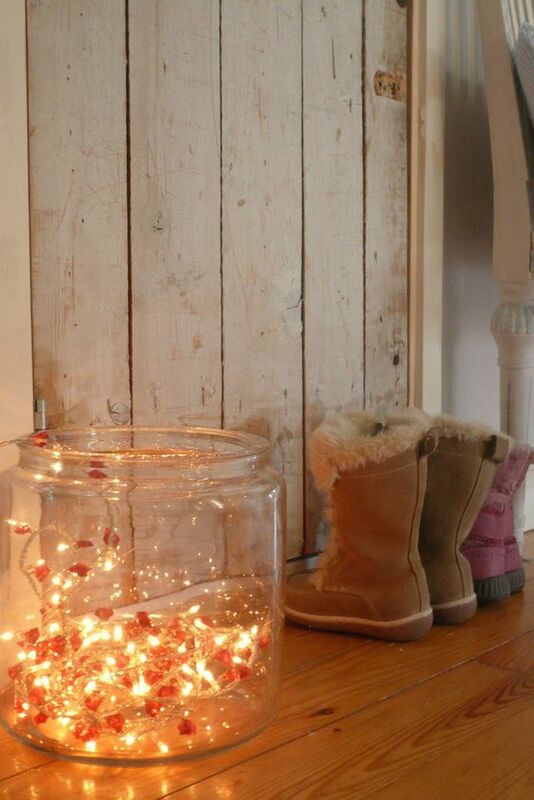 Today we are discussing how to use them in entryways. 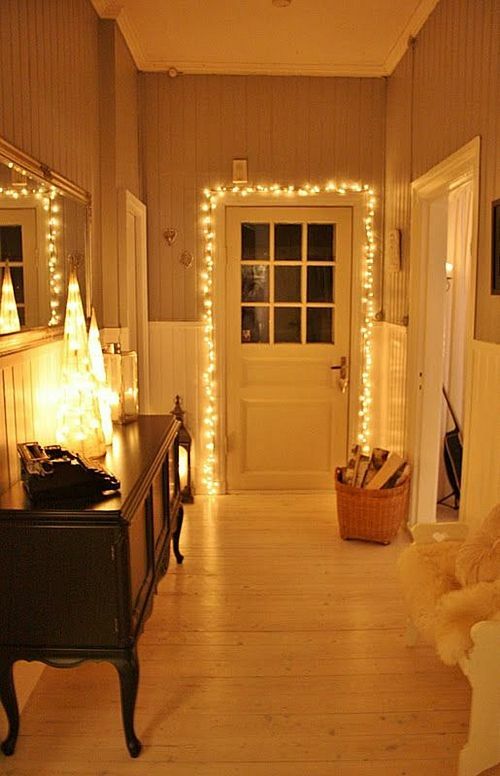 Entryways are usually small, and additional light is what makes small spaces look bigger, so string lights are exactly what you need. 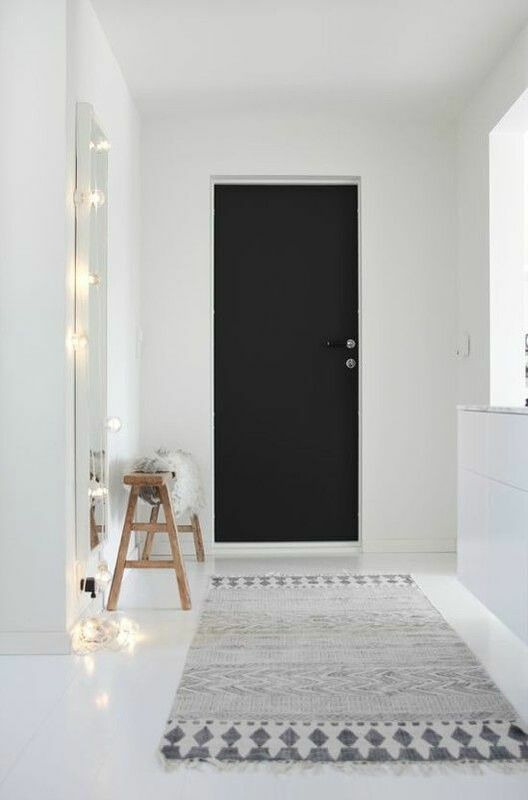 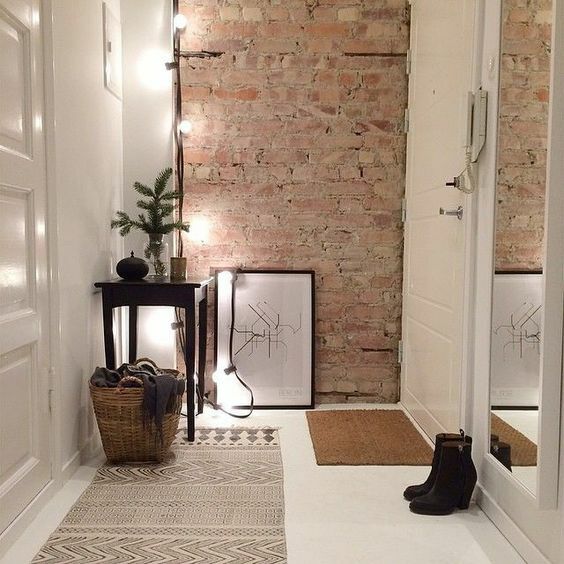 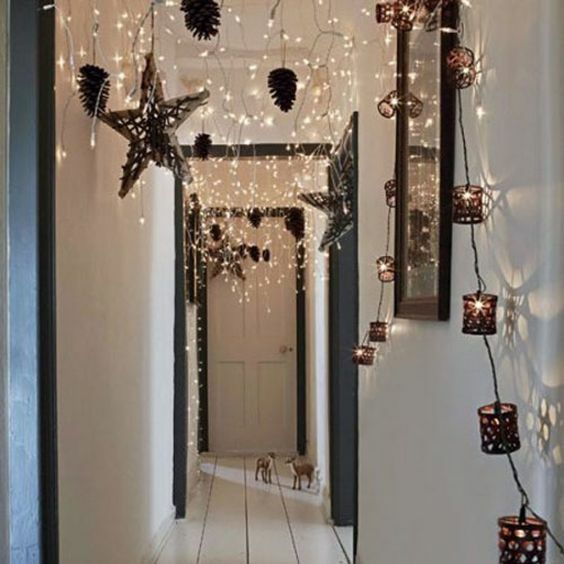 You may hang the lights anywhere you want and cover anything with them, and your entryway will be more inviting and welcoming for the visitors. 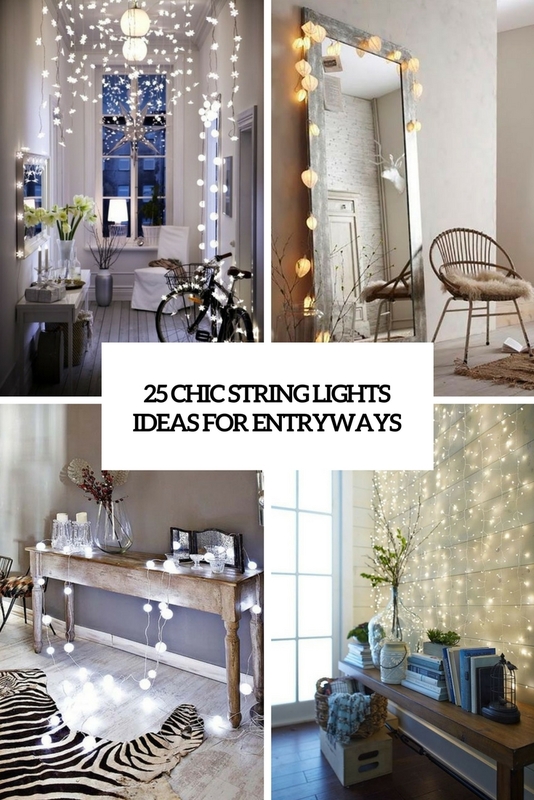 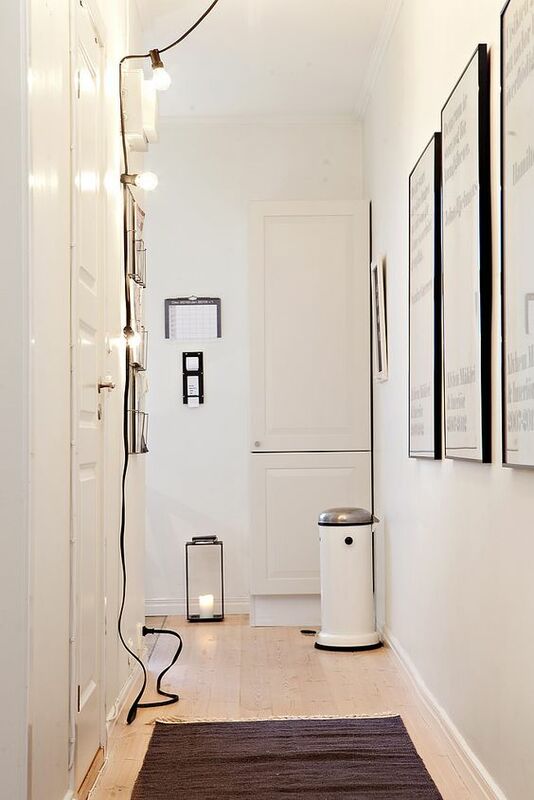 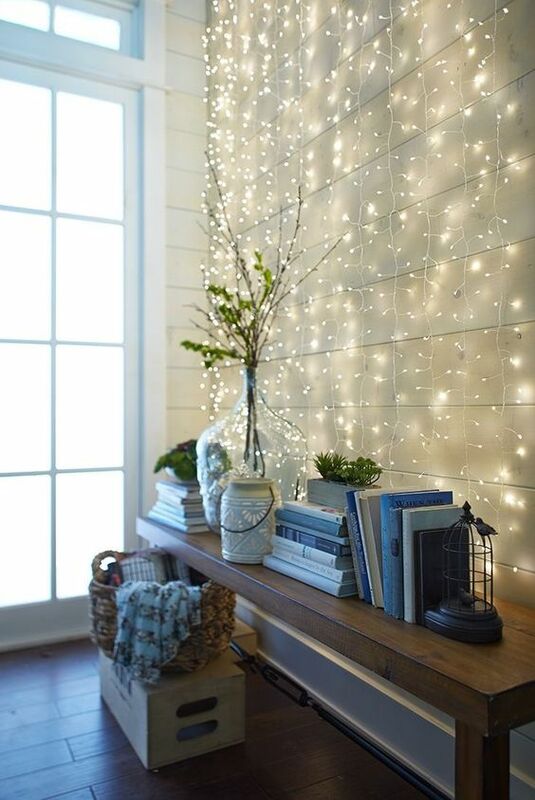 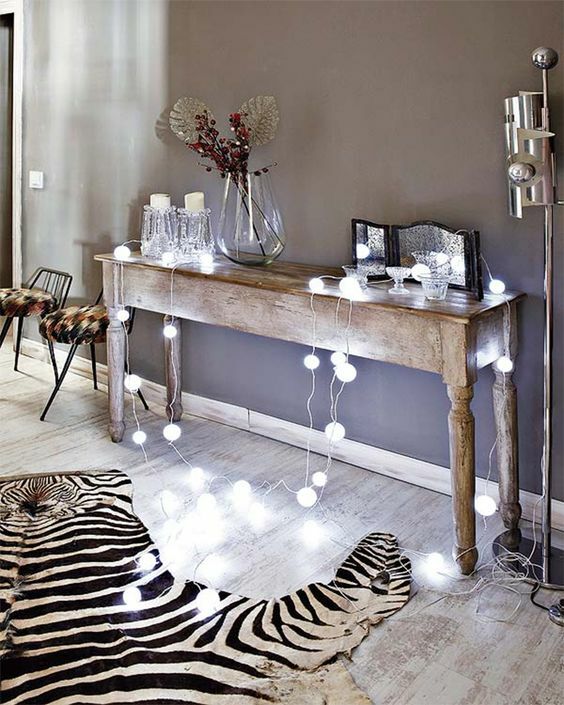 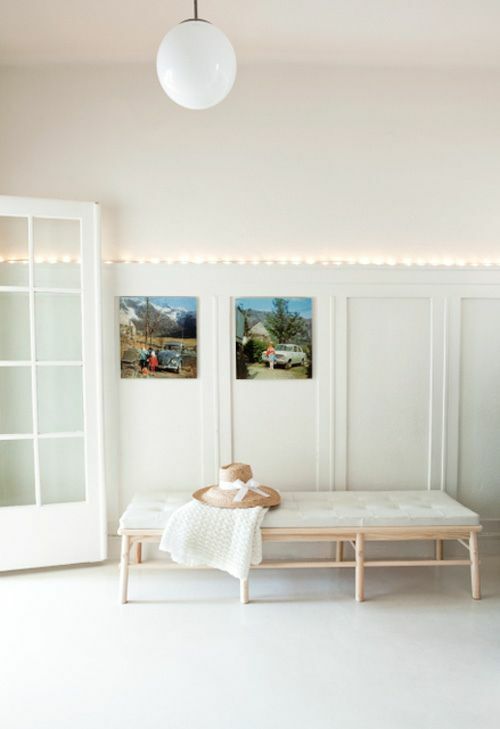 Now let’s have a look at some ways to use string lights in the entryway. 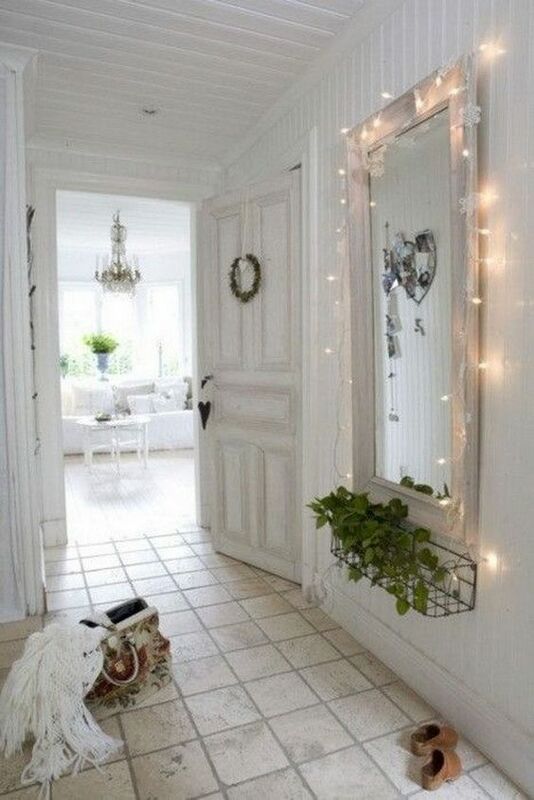 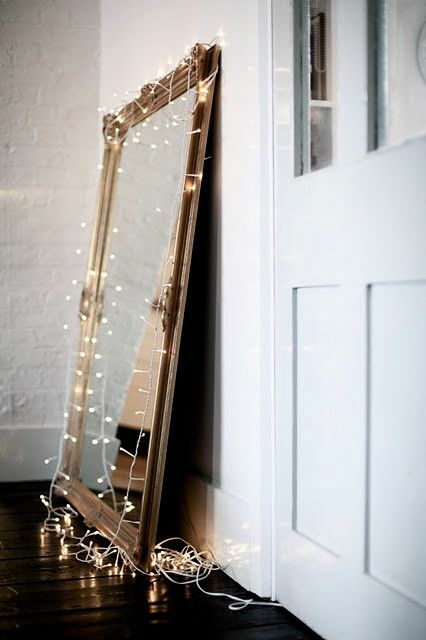 Most of entryways have mirrors, and covering it with string lights is a great way to highlight. 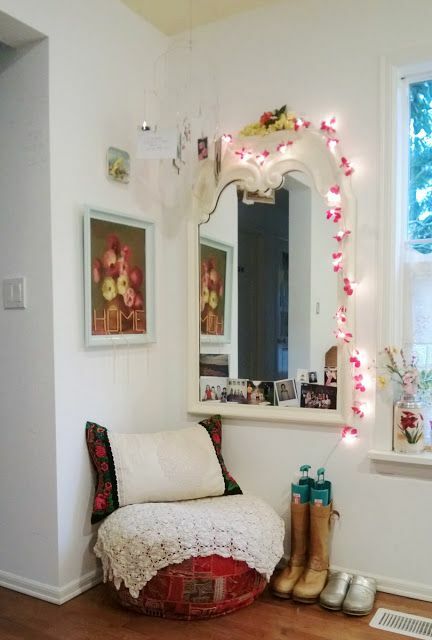 The mirror will reflect the light filling the entryway with it, and girls will get a nice space to check their makeup and hair any time they need. 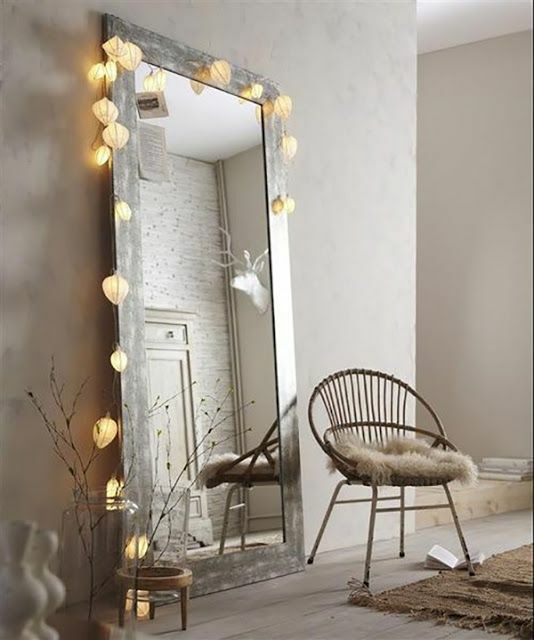 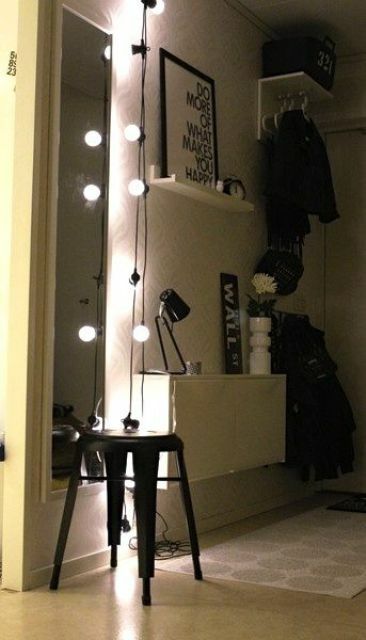 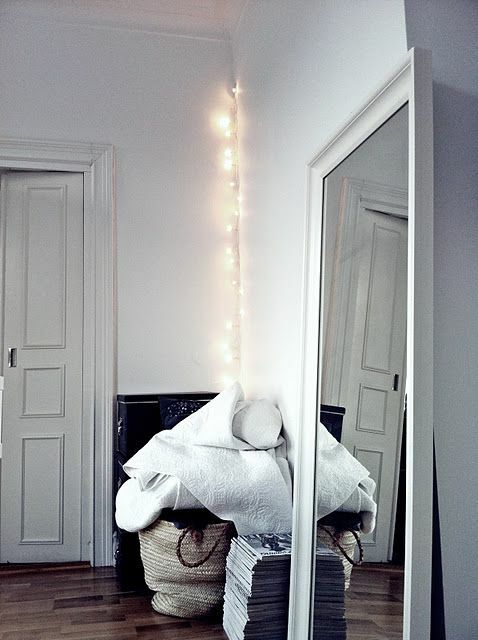 whether the mirror is a wall or a floor one, it will look nice with string lights! 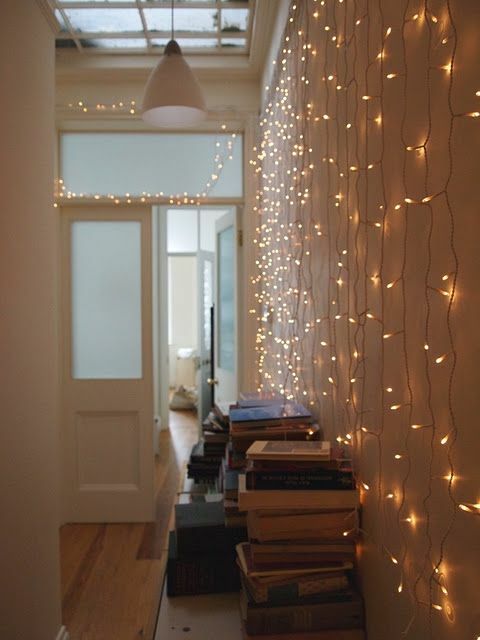 You can attach the string lights right to the walls – cover the whole wall, and you won’t need additional lamps. 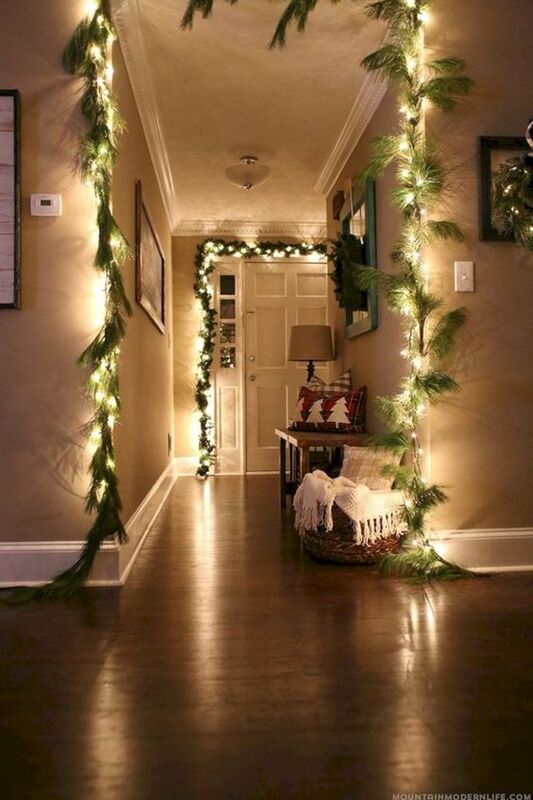 Or just hang them in the corner to enlighten the space better, or attach the lights to wainscoting if any. 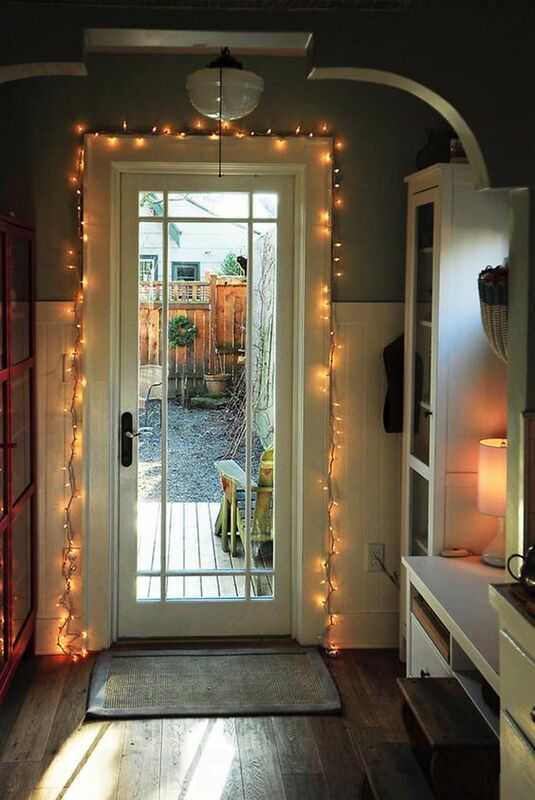 Attach the string lights over the door to highlight it, and the windows too if any – this is a cute idea to make the space more light-filled. 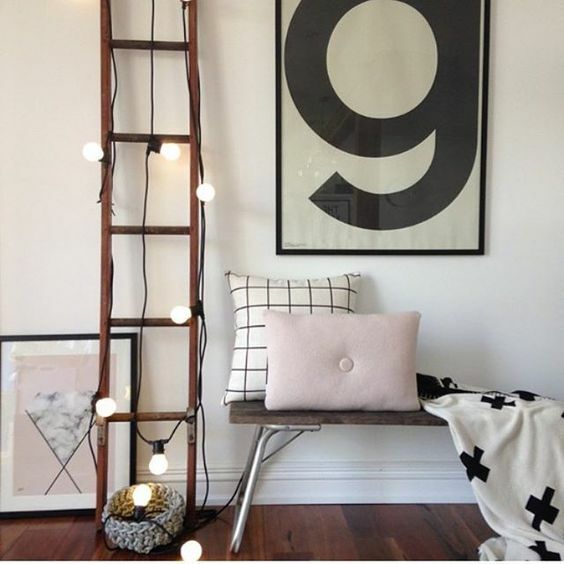 Ladders are popular for entryway decor: you can use them for hanging coats, scarves, umbrellas, accessories and so on. 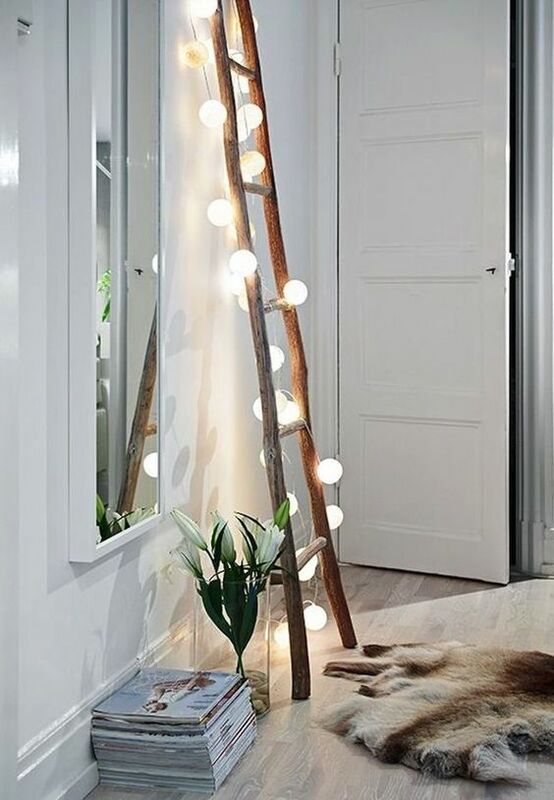 Sometimes ladders are used as displays, for example, of hats or kids’ art, and highlighting them is very easy – just cover the ladder with string lights. 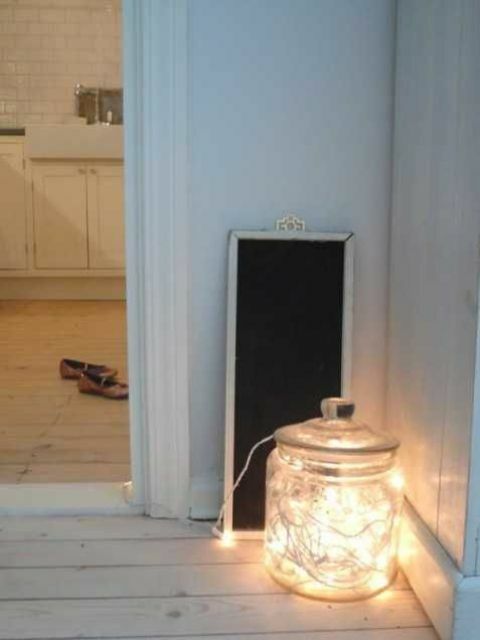 Take a large glass jar and fill it with string lights to create a bold light – you won’t need more! 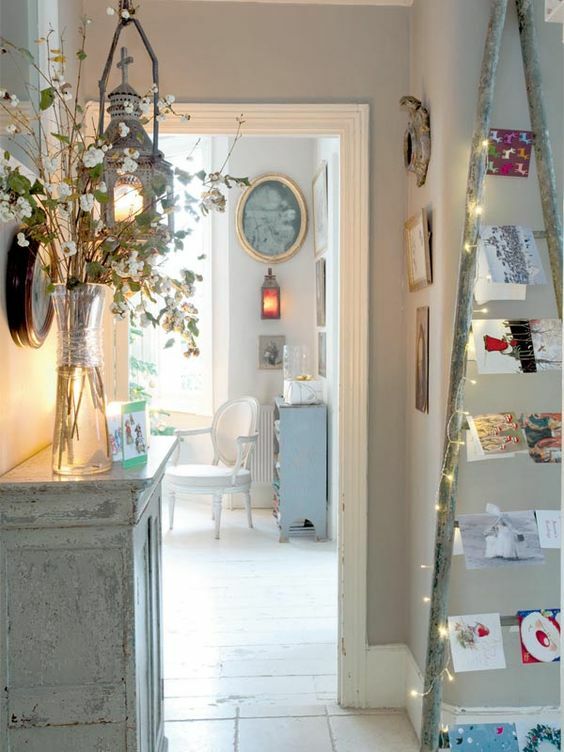 Put lights on your console table, hang them on hooks, let them hang from the ceiling as rain falling and your entryway will become welcoming and dreamy!